With the introduction of an internationally-aligned benchmarking tool, Australian road owners and authorities can now be confident that the asphalt products they use are as sustainable as they claim to be. In the United States, more than 79 million tonnes of recycled materials were used in new asphalt pavement mixtures during the 2016 construction season as outlined in a survey of the US asphalt pavement industry undertaken by the National Asphalt Pavement Association with the Federal Highway Administration. Not only was more than 99 per cent of the asphalt pavement removed from US roads and parking lots in 2016 put back to productive use – primarily as new asphalt pavement mixes – but more than 31 per cent of asphalt pavement mix produced that same year was produced as warm mix asphalt. 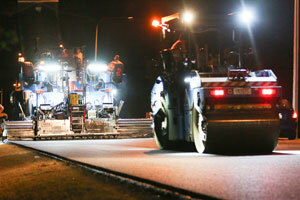 Like the US, Australia is raising the bar on RAP and sustainable asphalt products, with the flexible pavements industry driving significant change in this space. Robert Vos, Executive Director of Australian Asphalt Pavement Association (AAPA) Queensland and the Northern Territory, says asphalt continues to be one of the most recycled products in the construction industry, with the commercial incentive driven by the high input cost of bitumen and increasingly scarce crushed aggregates. “Industry is going beyond asphalt recycling for sustainability, looking at substitution of ‘waste’ products from other sectors, improving durability and lowering energy and CO2-e in manufacture and construction,” he says. Mr. Vos explains that asphalt with lowered temperature of manufacture, such as warm mix asphalt, as well as RAP, is routine and likely standard practice where permitted on most local government asphalt. The likes of tyre crumb rubber, toner ink, glass and plastic, he says, continue to grow as viable and sustainable recycled materials for use in the Australian road construction industry. The recent public focus on decreasing domestic waste streams has further highlighted the opportunities for their inclusion in asphalt and road building products. With such a competitive market in Australia’s asphalt production and road construction industries, Mr. Vos says sustainable alternatives are recognised as meeting customer goals and, when developed, bring operational and cost saving advantages. Identifying the increasing significance placed on sustainable asphalt products and seeing the need to facilitate and implement their uptake in an efficient and standardised way, AAPA sought to bring an internationally recognised benchmarking tool for sustainable asphalt products to Australia. “We have monitored what has been done in Europe and US to reach a common scientific assessment of the environmental impact of asphalt manufacture. 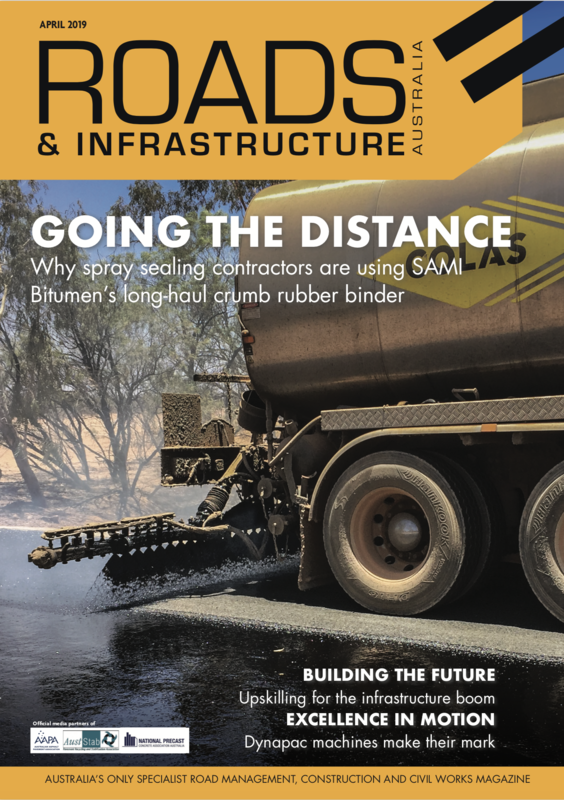 Realising the advantages this held for Australia, AAPA held special sessions and a workshop at our international conference last year and, with support from colleagues in the Global Asphalt Pavement Alliance, set about including the international approach,” Mr. Vos explains. This international approach is to establish common, or closely aligned, world standard Environment Product Declaration (EPD) – a document that communicates verified, transparent and comparable information about the lifecycle environmental impact of products. To produce this EPD, an international ‘calculator’ – or what is called the Product Category Rules (PCR) under the scheme – is used to input and rate the environmental impact of manufacturing asphalt. The PCR uses local and international databases that cover all the inputs and actions in determining the CO2-eq for asphalt and ensures the sustainable claims are consistently calculated and communicated and undergo the relevant levels of scrutiny. 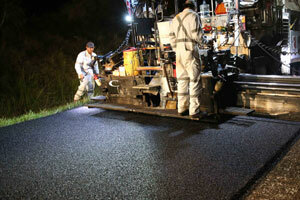 “The PCR covers what is to be included in the raw materials, transport and manufacturing of asphalt. The PCR draws from local and international sources of life cycle assessment data, which then ‘calculates’ the EPD result,” Mr. Vos explains. He says asphalt producers are then able to gain recognition for their better than ‘generic’ energy reductions, ‘waste’ material substitution, lowered production temperatures and increase percentage of reused materials. “The result of the PCR’s calculation is an EPD, which provides a clear, internationally benchmarked, CO2-eg value which can be used to compare asphalt from different sources,” Mr. Vos adds. While the EPDs are a voluntary declaration of the lifecycle environmental impact of a product and do not imply the declared product is environmentally superior to alternatives, Mr. Vos says buyer and user confidence is important to the future growth of sustainable products. He says it is fundamental that there is confidence in the measures that the asphalt industry uses to report and prove its sustainability claims. That is why the EPDs issued in Australia will be to international norms and the industry will be able to fast track sustainability improvements from around the world. Mr. Vos says the first EPDs for asphalt products in Australia are expected in late 2018, and AAPA is continuing to investigate a PCR and EPD for road management to include what was previously considered intangible benefits. He says this will enable the recognition of sustainable road management, such as increased durability, long life and better performing heavy duty pavements (EME2), improved road maintenance practices, smoother roads reducing rolling resistance and resilience to climate change. “The environmental impact of supplying a product or service does not reflect its impact in use. In the road sector, the use of whole-of-life costs often only considers the cost to the road owner and not the road user,” Mr. Vos says. “When considering sustainability, the user benefit, or user dis-benefit due to poor service levels, should be part of the life-cycle assessment. “For example, the life-cycle assessment considering the environmental impact of two products, one which stays smooth and un-potholed longer that the other, should be included in the whole-of-life cost assessment. “Currently this is only indirectly included and relative performance data is limited,” he adds. Taking the lead, AAPA has plans to capture this information for some generic products and will work with road owners to include it into their maintenance and operational decision making. “The benefit is mostly to the road owner in better decision-making and for the road user, lower operating costs. The challenge to the industry is to provide the continual improvement,” Mr. Vos says. He exemplifies the use of EME2 – a tough, long-lasting asphalt, which reduces the thickness of the asphalt by about 25 per cent. It’s quicker to build with less material used. He explains that this type of durability advantage improves road maintenance practices, and ensures smoother road surfaces with cost savings, lower fuel consumption, and comfort improvements for road users, all helping the industry’s drive to raise the bar for sustainability.